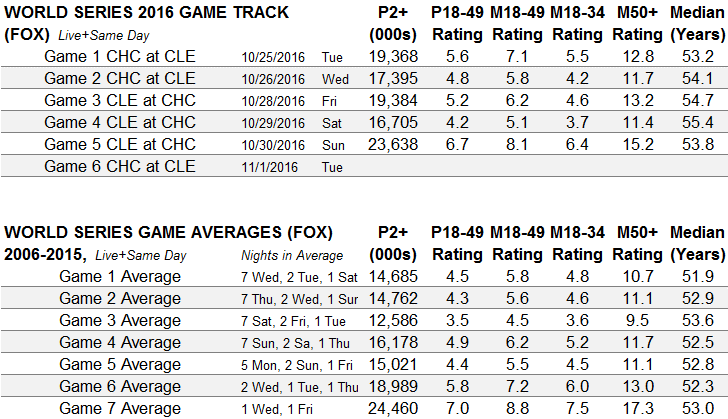 2016 World Series ratings by Game with average ratings for each Game since 2006. Averages for World Series Games 1-5. 2016 is now #1 since 2006 with total viewers (persons 2+ live+same day) but still #3 since 2006 with the key sales demographics of adults 18-49 and men 18-49.